Imagine you're quietly gliding along, enjoying Mother Nature at her finest in some of Florida's largest natural salt marsh. You're with good friends enjoying the morning while watching rare birds feeding & bottle-nose dolphin rolling & playing close to the boat. SUDDENLY, you spot 7 and 8 pound REDFISH pushing up submarine-type wakes in 8" of water looking for an easy meal. It's so shallow some of their backs are out of the water. You cast what they're looking for just ahead of one. As he approaches, looking for his next meal, the closer he gets to your bait your heart pumps faster. Then your adrenalin fires up. When he gets close to your line you barely move it and WHAM, he explodes on it! You slowly lower your rod tip and as he tightens up your line, you decide it's time to set it and let him know you're there. When you do, HE let's YOU know HE'S THERE!!! With Captain Vic, when you catch Florida's TOP inshore game fish the REDFISH, in shallow water, he can't go down, he goes EVERYWHERE! Contact Captain Vic now to book your adventure! Regular 1/2 day ( 5 hours ) or customized full day ( 8 hours ) trips available. Fishing, sight seeing, wildlife photography, boat riding, birding or check out waterfront real estate before you buy. Gift certificates available year round: Personalized with the giver's name, receiver's name and for what occasion. Gold trimmed, looks very nice! GREAT for birthdays, Father's Day, Mother's Day, anniversaries, wedding gifts, good grades, graduation, Christmas or make a special 'JUST BECAUSE' gift that they'll always remember ! Job rewards? Why not show your valuable employees just how important they are to you. Treat them to an adventure sure to please. Set some goals like most companies do and treat the employees who succeed to a day of excitement. Captain Vic has been 'featured' on The Outdoor Channel's 'Live The Dream Show' as well as other National & local TV Fishing Shows. "My Fishing Reports and articles are published on 24 fishing web sites across the U.S. and in Florida's Catch & Release Magazine, Florida Outdoors Magazine & Outdoor Florida Magazine monthly." Bought a new boat or just looking for that perfect fishing craft? 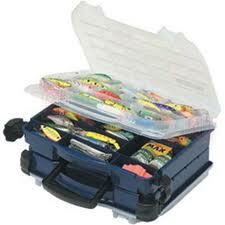 I can teach you how to rig your new craft for whatever type of inshore fishing you desire. What you'll need and where's the best place to buy it! ALL LICENSES, BAIT, QUALITY EQUIPMENT, TACKLE & ICE PROVIDED. Just bring your food, drink, sun block, hat, and a cooler to take home your catch. PLEASE, NO GLASS CONTAINERS, NO SMOOTH, BLACK SOLED SHOES NOR FLIP FLOPS. Have you ever caught fish on TOP WATER LURES? If not, you're missing the strikes that are sure to get your heart pumping. Let Captain Vic teach you how to get the strikes of your life. Seeing these fish explode on a top water lure is exhilarating! After catching redfish, trout, tarpon, jacks or ladyfish on top waters you'll be hooked on this type of fishing. In Jacksonville, Florida. Florida's best kept secret fishing grounds. Fish where the fish ARE ! Fish Florida. The ONLY State with 12,000 rivers & over 7,000 lakes. No wonder Florida is known as 'The Fishing Capitol of the World' ! CAPTAIN VIC is a UNITED STATES COAST GUARD licensed Captain & Certified by the International Game Fish Association. "The first Captain in Jacksonville, Florida to be Certified by the IGFA ", and currently one of only two IGFA Certified Captains in Jacksonville. There are over 350 in 42 countries and 40 U.S. States. He is listed on their web site, listed on their 'touch screen' in the Fishing Hall of Fame & Museum and appear in their 2002 thru 2009 World Record Books. A FULL TIME GUIDE, (one of only a few "full time" Guides in Jacksonville). He's a shallow water light tackle specialist, a native Floridian that was born in Jacksonville and has fished these same local waters for over 50 years. Captain Vic is a 4th generation Northeast Florida Tison, a Host of Talk Radio 600 WBOB's 'Still Just Fishing' Radio Show each and every Saturday morning from 6:00 to 8:00 AM. He's the Regional Director for the Florida Guides Association, Chairman of the Recreational Fishing Alliance North Florida Chapter, a Member of the National Association Of Charterboat Operators, Member of the American Professional Captain's Association. Captain Vic has been on numerous local and National TV fishing shows and has been featured on The Outdoor Channel's 'Live The Dream' show. He conducts "Seminars For The Working Angler" at work sites in office buildings, Civic Centers, church groups, tackle stores, boating & marine outlets, etc. all over North East Florida.